A Cardiff resident is getting ready to take on his first ever marathon in support of LGBTQ+ communities across Wales. 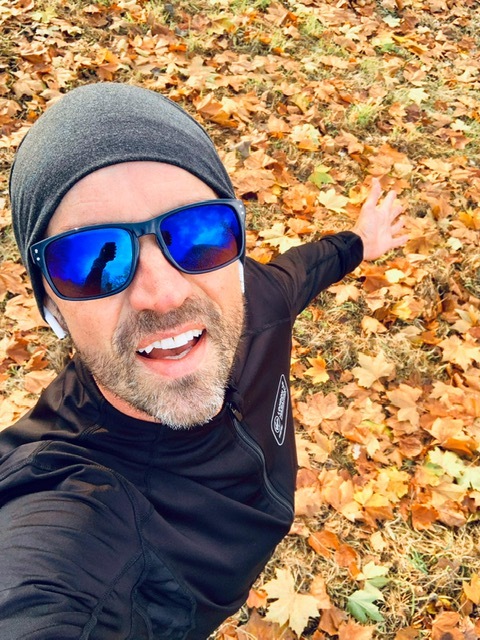 On Sunday 28 April, Craig Michael, 48, will hit the starting line at this year’s Virgin Money London Marathon, hoping to raise significant funds for Pride Cymru. The Welsh-based charity was nominated as a regional charity to enter the UK’s most popular marathon by the Virgin Money Lounge in Cardiff. As one of the charity’s event directors, Craig is responsible for organising the renowned Pride Cymru Big Weekend, which last year attracted between 40,000 and 50,000 people from all over Wales and the UK. Craig said: “This is my first fundraiser, so I’m excited to do this for a charity that lies so close to my heart. I have always wanted to give back to the LGBTQ+ community, which is why it only made sense to run for Pride Cymru. This year also marks a milestone for Pride Cymru, as the Welsh charity celebrates its 20th anniversary. Working within all areas of the LGBTQ+ community across Wales, Pride Cymru develops projects, such as ‘Bold Beginnings, Bright Future’ which is an intergenerational project working in part to empower young LGBTQ+ members of the community by helping them develop new skills and confidence. We’re extremely proud of Craig and his fundraising efforts. It’s always encouraging to see the Welsh LGBTQ+ community represented outside of Wales and have volunteers like Craig spread our mission to create a hate-free society that celebrates diversity. Our aim is to increase understanding and respect for all. We represent people with a range of backgrounds and life experiences, empowering the voices that champion the LGBTQ+ cause in Wales.